Benvenuto nella sezione dedicata ai Body Danza Classica in Pronta Consegna. Qui troverai un vasto catalogo di Body da Bambina e Body per Adulti. Se sei un Insegnante o un Negoziante di Abbigliamento Danza, Iscriviti Ora e richiedi l'attivazione del tuo pannello di controllo come Scuola o Venditore di Abbigliamento Danza Classica. In pochi minuti potrai visualizzare i prezzi dei Body Danza Classica ed utilizzare i potenti mezzi che Altrovedanza ti mette a disposizione. 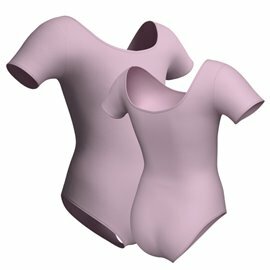 Ballet Leotards for Kids, Girls and Women There are 28 products. 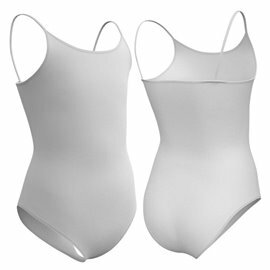 Altrovedanza's basic cotton Adult Camisole Leotard with low circular back and shelf bra lining. Divinely cut to enhance your body lines. A classic suitable for the regular uniform. available in cotton, for immediate delivery, in following colours : black, lilac, burgundy and old burgundy. Feasible in other colours and materials on request. Comfortable long sleeved Dance leotards for kids with high scoop front and back , in perfect style for school uniform. Available both in cotton and in lycra. Ready for delivery in cotton : black, light blue. Ready for delivery in lycra : black. Feasible in other colours on request. This elegant 3/4 Sleeved Dance Leotard with scoop front and high back is perfect for both kids and adults. Made with thick and soft cotton for superior comfort. An excellent and cheap basic leotard for uniforms. Available in cotton, for immediate delivery in colours: burgundy and navy . Feasible in other colours and materials on request. This 3/4 Sleeved Dance Leotard is ideal for children and girls. Made with a soft and thick cotton (255 g / sq m) for added comfort. Suitable for regular uniform. Available in cotton : pink,lilac and venus. Feasible in other colurs and materials on request. Ballet Cap Sleeve Leotard with gathered front. High cut and shaped to enhance the lines of a dancer. Antibacterial shelf bra-lining.Suitable for Ballet and Modern Dance. Available for immediate delivery in cotton black. Feasible in other colours and materials on request. Double Strap Camisole Leotard with a flattering Crisscross back. Comfortable Leotard for Girls and Adults. Moderate legline and antibacterial Shelf Bra Lining. Superior cotton quality. Super-fast dispatch. Available in cotton Black and Lilac. Feasible in other colours and materials on request. Altrovedanza's contemporary smooth Adult Polo Neck Sleeveless Leotard with shelf bra lining and key hole back. Ideal for Ballet and Gymnastics. Suitable also for regular uniform. Available for immediate delivery in cotton: Balck, Burgundy and Old Burgundy. Feasible in other colours and materials on request. 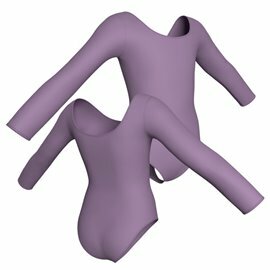 Altrovedanza Skirted Leotard for Toddlers is a fantastic short sleeved skirted leotard from the new Altrovedanza™ range! 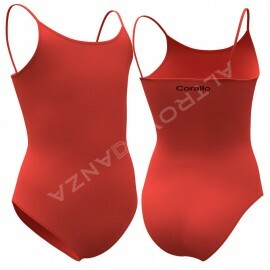 Durable leotard material with full front lining. Suitable for regular uniform and performance. Available in cotton: pink, white,lilac and black. Feasible in other colours and materials on request. Child Camisole Leotard with pretty Chiffon Skirt. Antibacterial Shelf bra lining. Superior quality cotton ensures dancers are comfortable. No itchy tags or seams. Available for immediate delivery in cotton in colours: pink, sky-amalfi. Feasible in other colours and materials on request. On of the most elegant Criss Cross Camisole Leotard of the "Premier Collection" of Altrovedanza. Criss Cross Camisole Leotard with a special back design with Shelf bra lining. Perfect for performances and also suitable for dance classes. Beautiful Fashion Leotard for Women. Ready for delivery in Lycra colour Burgundy. Other colours on request. Pink Cap Sleeve Leotard with high circular soop back and front. Ideal for school uniforms. Suitable for Children, Girls and Adults. Superior quality cotton/ lycra and value for money. Available for immediate delivery in: Pink. Feasible in more than 35 colours on request. Altrovedanza’s cotton/lycra Girls Camisole Dance Leotard with circular scoop front and straight mid back cut and front lining. Perfect for the regular uniforms for an elegant and tidy look. Available for immediat delivery in Cotton:Pink,Lilac,Navy,Burgundy and Black. In Lycra: White. Feasible in more than 35 colours on request. This Camisole Leotard features an x-back design, memory stretch full front lining and a ballet cut leg line. Perfect for children, girls and adults. A classic Leotard for a tidy school uniform. Suitable also for performances. Available for immediate delivery in cotton: black,lilac,and light blue. 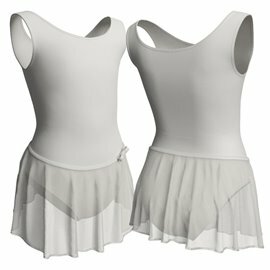 Pretty Skirted Tank Dance Leotard with high quality cotton, full front lining and with a lovely skirt in organza. Length about 25 cm. Suitable for baby dancer and Girls. Perfect for show rehearsal, dance costumes and also school uniforms. Available in cotton: Pink. Feasible in other colour and material on request. Pink Short Sleeves Ballet Leotard with a chiffon wheel skirt sewn at Leotard. With gathered front. A perfect choice for school uniform or performance for little ballerinas ballet. The colours available for immediate delivery are: Pink and Lilac in fine and durable cotton. Other colours and materials available on request..
Red Tank Dance leotard "Laura"
This Red Tank Dance Leotard "Laura" has a beautiful line with gathered front "V". Antibacterial full front lining. Suitable for girls and adults. Perfect for school uniforms and also for dance costumes. Available in seven sizes. Discounted up to 50%: take advantage of this unique opportunity! Altrovedanza's Footed Ballet Tights. High performance microfibrer. Altrovedanza's Footed Ballet Tights with a cotton gusset and a real waistband that’s comfy on the tummy and stays in place while dancing. Available in Light Pink. Sizes: Children from 1 to 6 years old, Girls from 7 to 12 years old, in One size for Adults. Ballet Leotard with Inserted Lace available in Cotton or Lycra in 38 different nuance.